Part of the New Realistic HD Range. 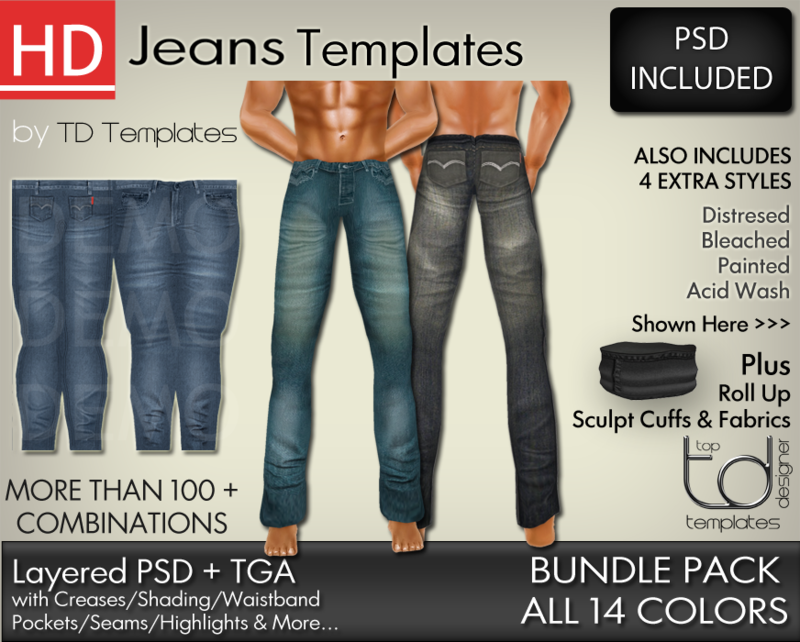 Create your own realistic HD Jeans to add to your clothing line with this kit. In Layered PSD & TGA Format. Over 100+ different style combinations. Immediate PSD Download…no waiting. Comes with a wide variety of 14 Colors in pack! Each Color available separately in the in-world store.